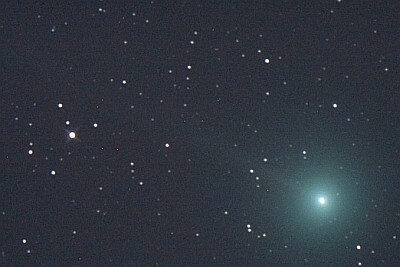 3 hours shrinked to 6 Seconds. 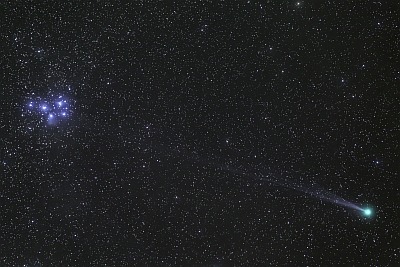 Nice moving plasma cloud. And you can see the rotation of the comet. 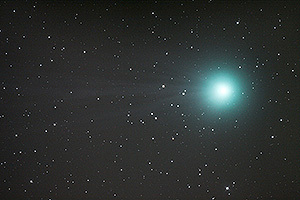 Lovejoys estimated appearance (mag 3.7-4.0)*. 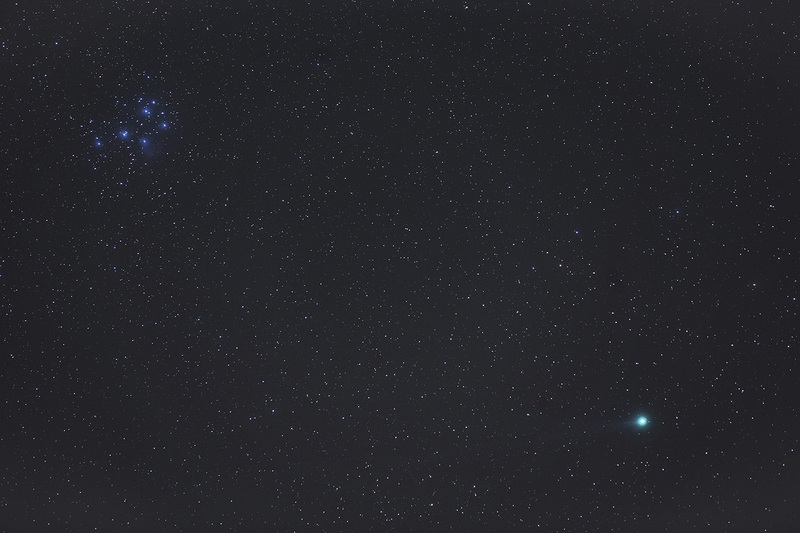 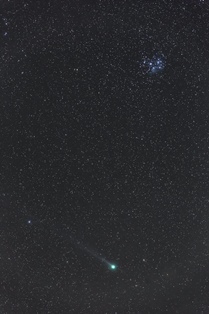 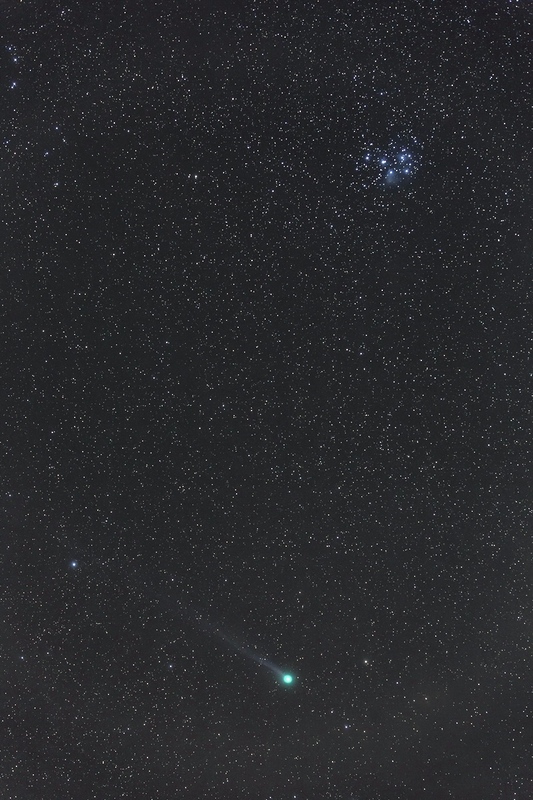 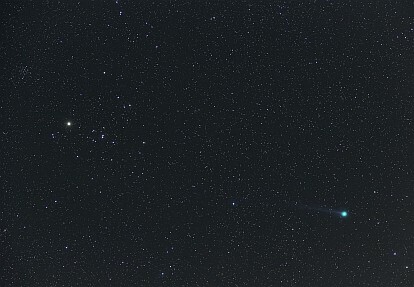 The small green spot over the Alps under the constallation Pleiades is comet Lovejoy (Right up). 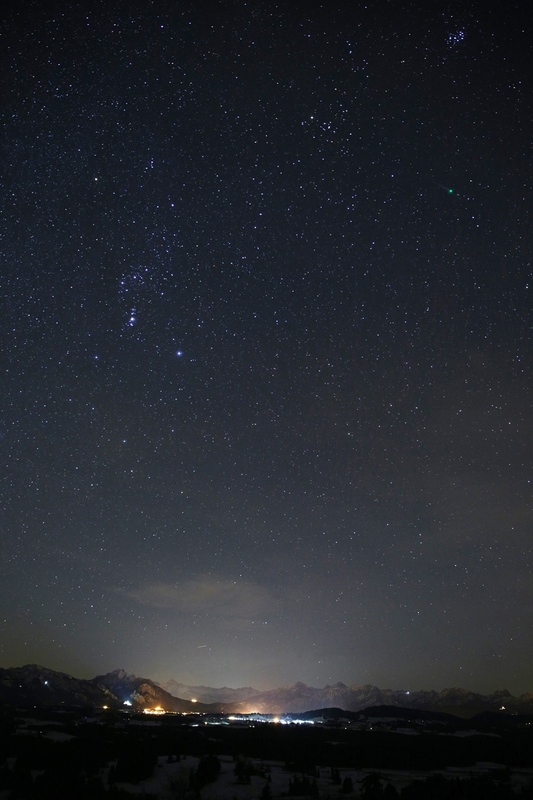 Left down the Palais of Neuschwanstein . 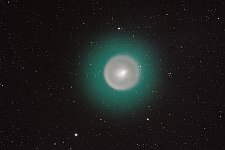 Lovejoys estimated appearance (mag 4.0-4,2)*. 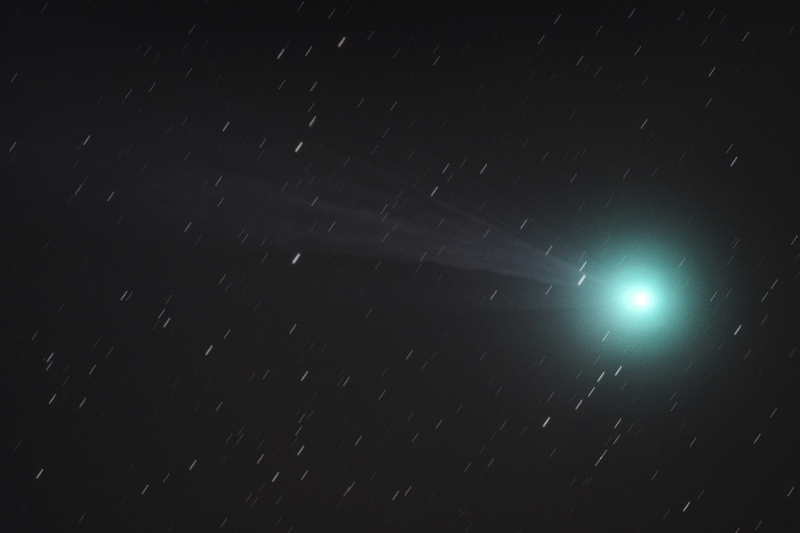 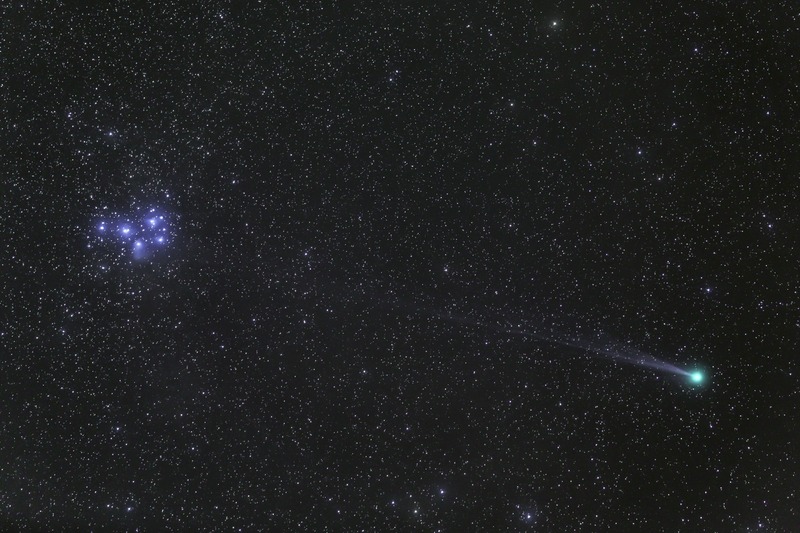 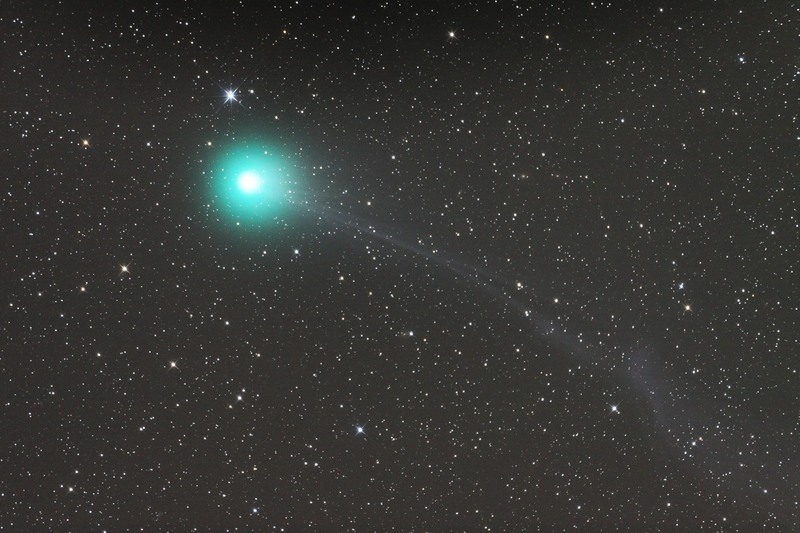 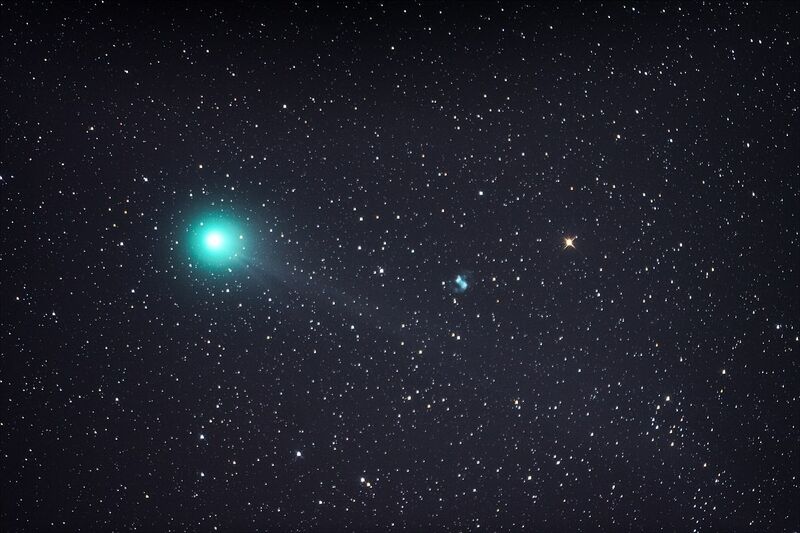 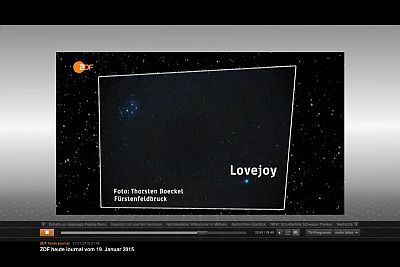 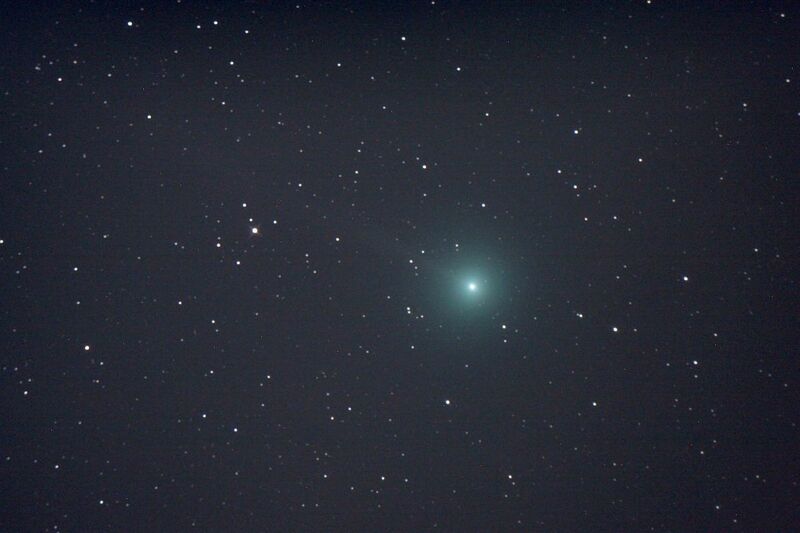 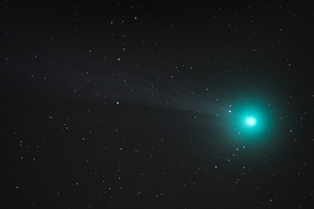 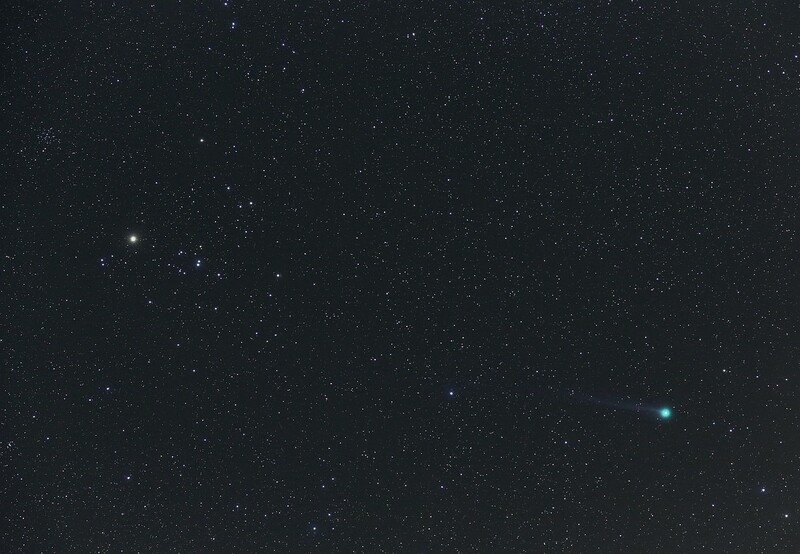 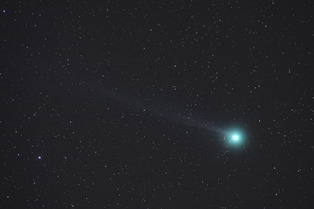 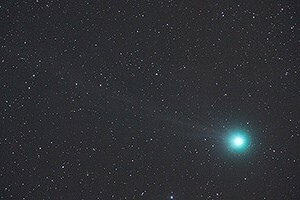 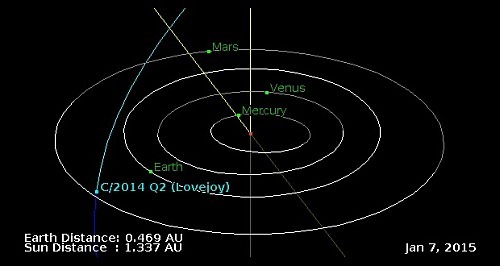 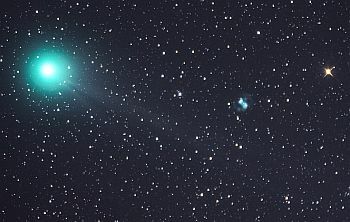 Lovejoys appearance as a midnight comet (mag 5.0-5.3)*. 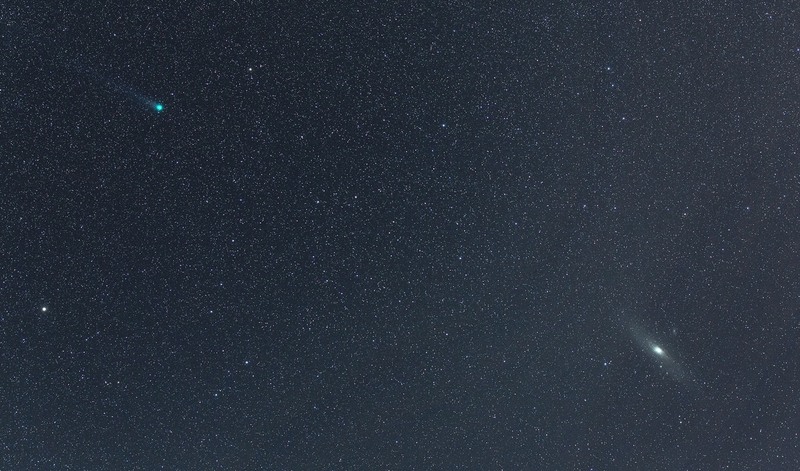 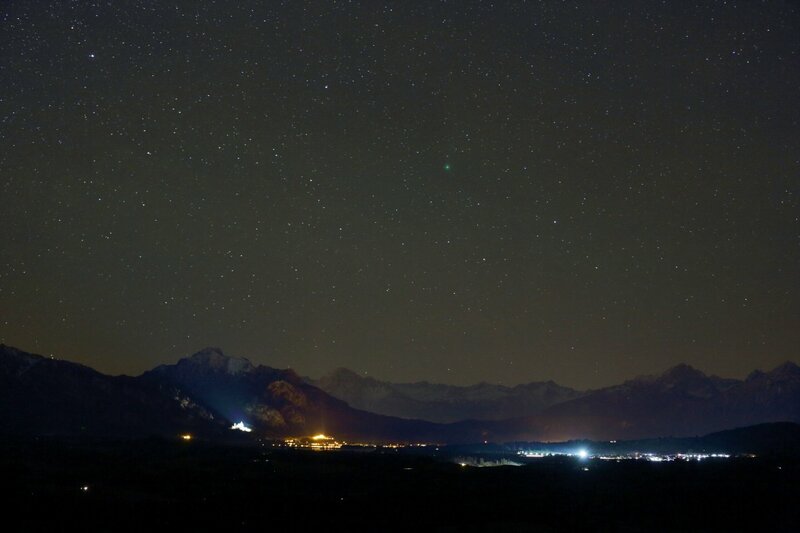 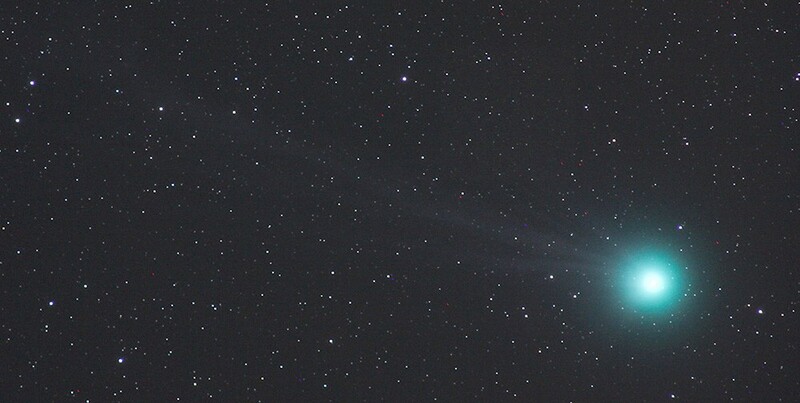 The small green spot over the alps is the Christmas comet Lovejoy. 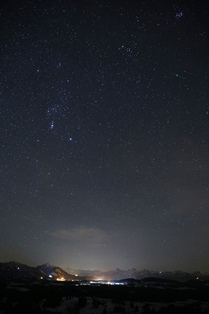 Because of light pollution only visible in binoculars. 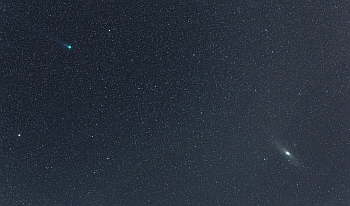 Left down the Palais of Neuschwanstein . 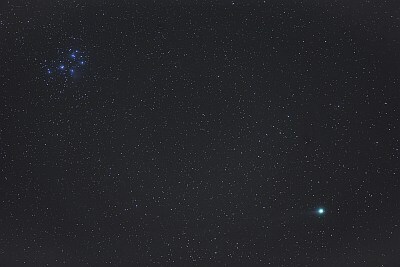 *mag = > light magnitude. 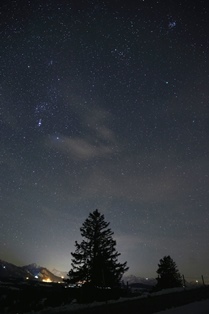 Up to apprx. 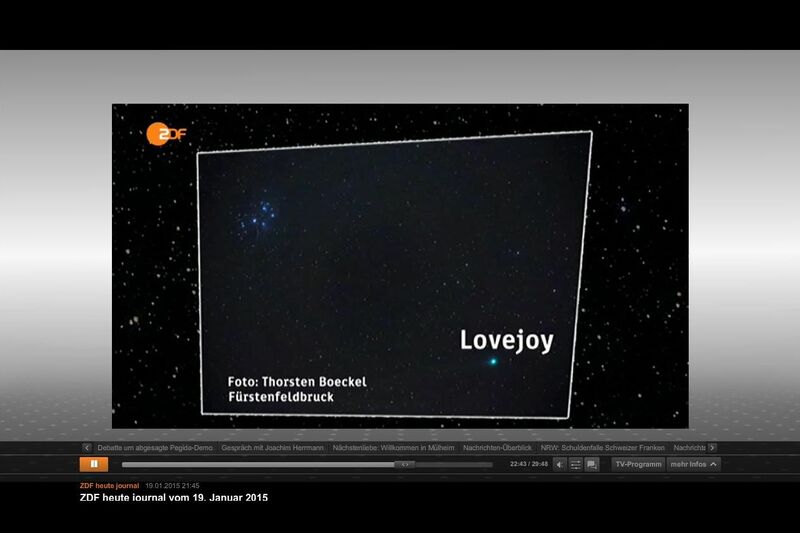 mag 4-5 stars are visible in the city with the naked eye, in very dark areas to mag 6. --> The more high numerical value is given, the more weak are the objects.